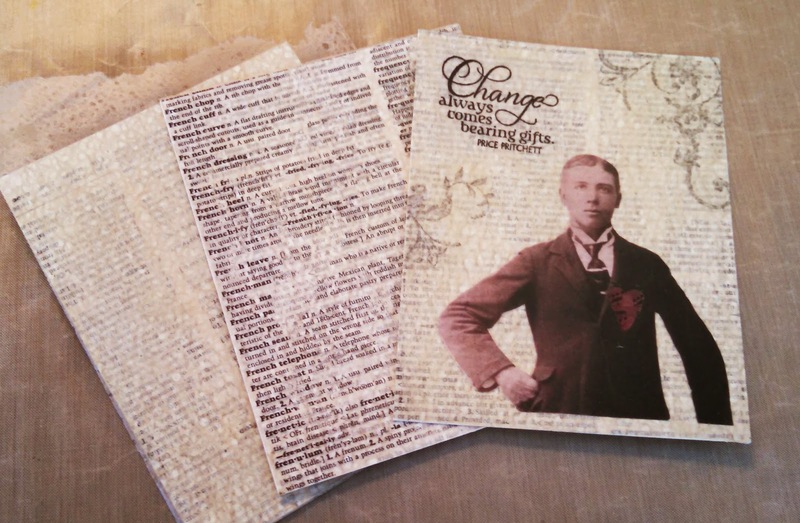 Wednesday I taught a demo at Stampadoodle and the Paper Cafe on Translucent Layers. My favorite translucent layers are created with beeswax. It melds things so well! Here are some of the results taken immediately after the demo. These are in the display case at Stampadoodle, if you're local and want to check them out. 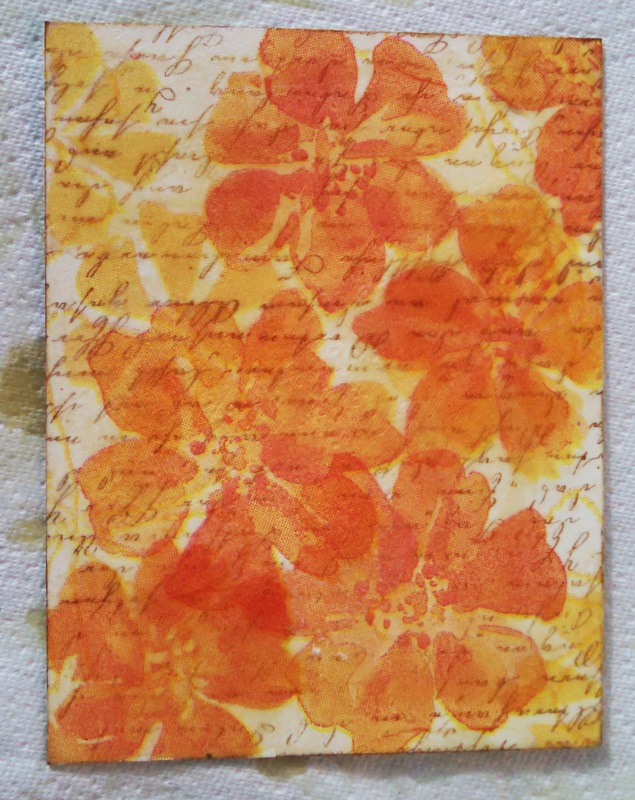 Demo piece made with a stamped on script background (Stazon ink) and paper towel! My son had these in his kitchen so I borrowed a few to play with. Showing the difference between muting old text pages with a light coating of off white acrylic paoint. You can see the text, but it doesn' overpower a piece like the one on top. That's Grandpa George at his high school graduation 1912-ish. It was great fun, and of course I ran out of time. Perhaps I'll teach a class on this sometime soon. Sharing with the artists at Paint Party Friday, hosted by Eva and Kristin. I love the old image of your family in your art, fantastic! 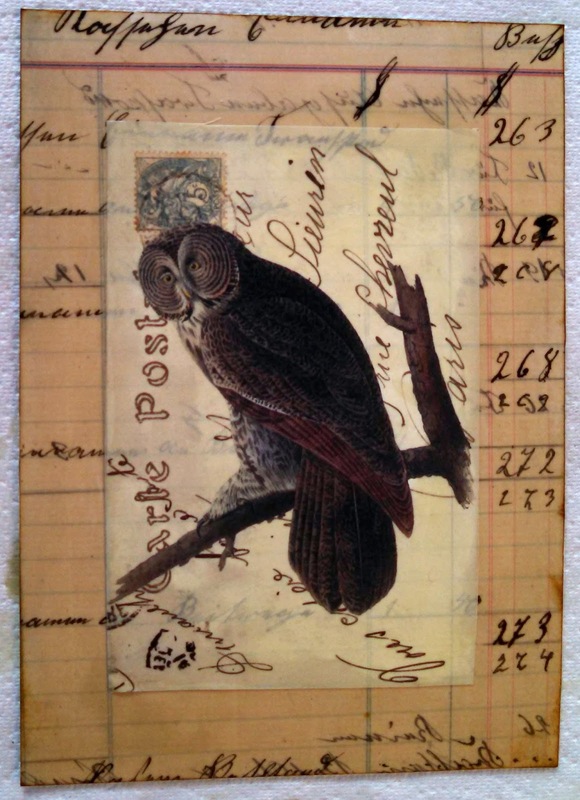 Just love the owls eyes... very nice demo pieces. these are lovely - the wax does give it a fabulous coating and look. I love old photos like that. Wow this is simply amazing. The owl is my favorite. A great technique. Helen. Your work is wonderful. I love how you have used the beeswax, something I know zilch about. My favorite is the grandpa piece. Not only have you used something meaningful to you, you've also managed to show us how different a piece looks with off white paint. It really ages the paper beautifully. love the look of translucent layers-beautiful! Hi Helen. Good to see you as always. I have beeswax and have never worked with it. You've inspired me. Looks wonderful. Love that pic of your Grandpa George. Very nice. I like the graphic of writing integrated in art! These are fabulous, thanks for the tip about the off white over the text. Very cool...love that you used your grandpa too!